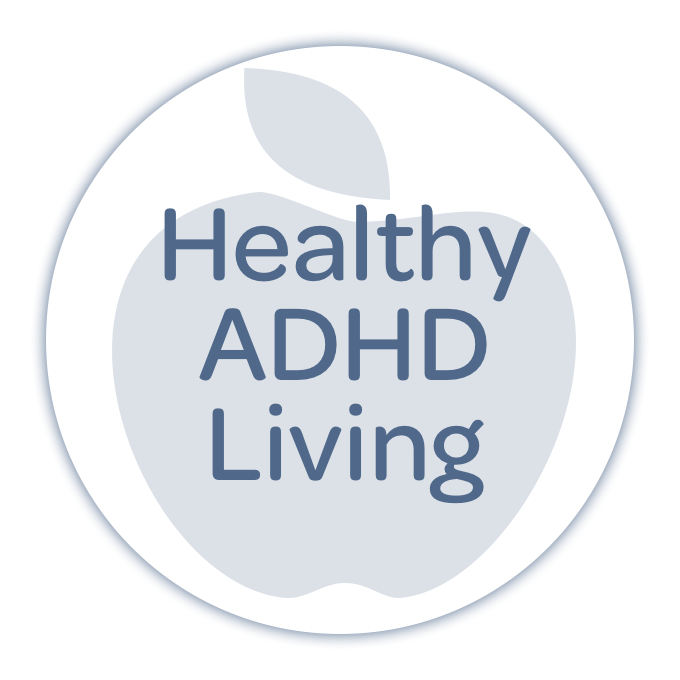 381: ADHD Students: Our Favorite Strategies! Our community is full of learners — students of all stripes. But the act of learning is different for those living with ADHD. It puts new pressures on different parts of the brain. Sitting and digesting new information is a challenge over long periods, and building a map to structure your own learning path in an environment of uncertainty can cause deep anxiety. 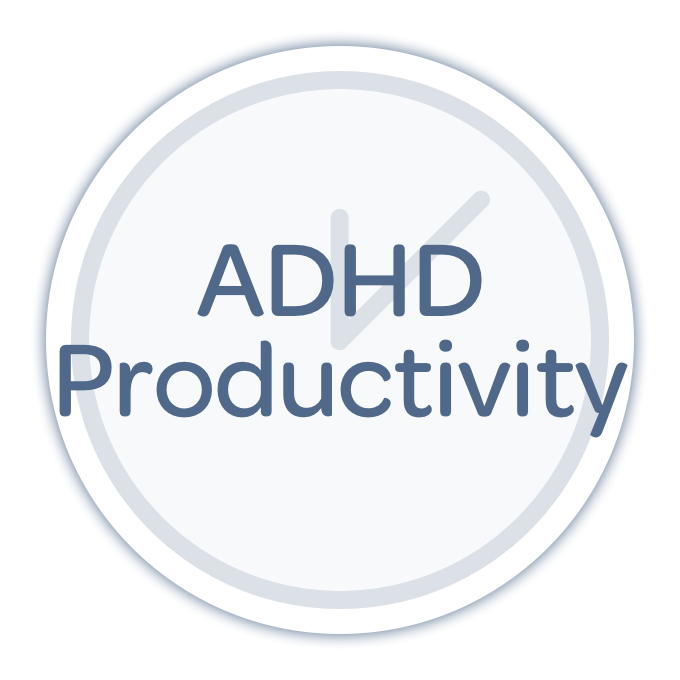 Whether you're pursuing a degree or testing for a new certification, this week we offer tools and strategies to help you be a smarter and more effective student with your ADHD! Pete: Hello, everybody, and welcome to "Taking Control: The ADHD Podcast" on RashPixel.fm. I'm Pete Wright, and right over there is Nikki Kinzer. Nikki: Hello, everyone. Hello, Pete. Pete: You know, in the old days my dad would wake me up when I was probably 10, 11, 12, and at the end of the summer, he'd come into my bedroom on that first fateful morning and he'd sing to me. Do you know what he would sing, Nikki Kinzer? Nikki: Is it the day that you would go back to school? Pete: "School day, school days, good old golden rule days..." And I would throw a hot fit. Pete: And I would get real mad, and he would turn around and I would flip him off. And he would just get no end-of-love out of that experience for years running, until I realized that if I ignored him, he would go on and do something else. That took me a long time to learn that lesson. We're hopefully not gonna cause anybody to flip us off today, not like old dad. Nikki: Yes, and I hope not. Pete: We're gonna be talking about favorite strategies for ADHD students, this is very exciting. Lots of fantastic tools for us to talk about. Nikki: It is, and I was just thinking, the timing of this is probably completely wrong, right? Nikki: Yeah, welcome to spring, and we're gonna talk about ADHD strategies. So the timing of this is probably not the best. However, it did come up in our Patreon group, and I love the Patreon group. This is for them and anybody else that is a student, I think will find this valuable. So, we're gonna do it anyway. Pete: We're gonna do it anyway. Nikki: I don't care if it's spring. Pete: That's right. We don't care, we're gonna do it anyway. This show is brought to you by you. And when I say you, I actually mean our fantastic supporters over at patreon.com/theadhdpodcast. These are the people whose lives have been touched in some way by this show and they have decided to help us, to support Nikki and I as we do the work of this show for a living. I don't know that many people think about this, like this is what we do for our jobs. Nikki she does her work with her coaching clients, she does her work with...but she doesn't go to a day-to-day 9:00 to 5:00. She's busy creating tools and resources for you. I'm a professional podcaster and I don't go to a day-to-day job anymore either. And so it is enormously touching for both of us that if you've gotten something out of this show, you recognize that it doesn't come for free. Like this comes at a cost to us. It comes at a cost of our time and of our experience, and we work hard to bring this show to you every single week year after year. It is a delight to do and we're deeply grateful for those of you who believe it's important enough to you that we, frankly, get paid for it. That's an incredibly powerful message to send. So, thank you to our supporters over at patreon.com/theadhdpodcast. And we hope that if you haven't decided to support us yet, that you'll check us out over there, look at the perks that we have, look at the other milestones. When we reach these milestones we're gonna be doing new things, just like releasing transcripts, the full complete human-powered transcripts for each episode. That comes thanks to Patrons. Again, patreon.com/theadhdpodcast. Thank you so much for your support. All right, Nikki Kinzer. Let's do this thing. Nikki: Yes. Are you gonna read the question? Because you're so Casey Kasem. Pete: I am, in fact, going to read the question. Here is the question. "Within the Discord group, there are many adult students. Between online classes, living and attending classes on campus, grad school or prepping for major exams needed to apply for higher education, many of the tribe are consistently hitting the books. The accountability has been super helpful, keeping me on track to get my assignments completed on time. Unfortunately, for as often as I am studying, I don't feel like it's ever enough. I find it very difficult to retain the information I'm reading in my textbooks. For lack of a better option, it seems the best way to retain information from copious amounts of text reading is to take even more pages of notes. More often than not, I find I am more or less copying the textbook verbatim in a feeble attempt to remember anything I've read. 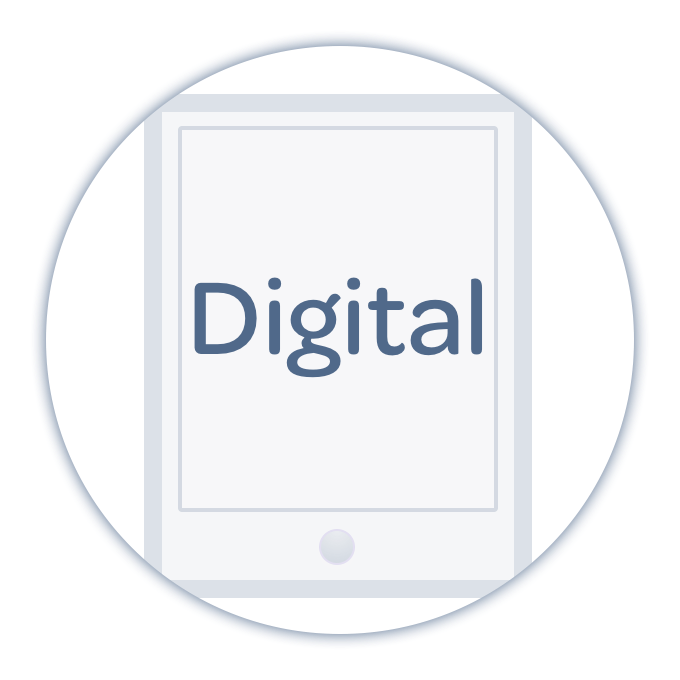 This practice results in hours upon hours of extra time needed to read and retain the information for a single chapter. 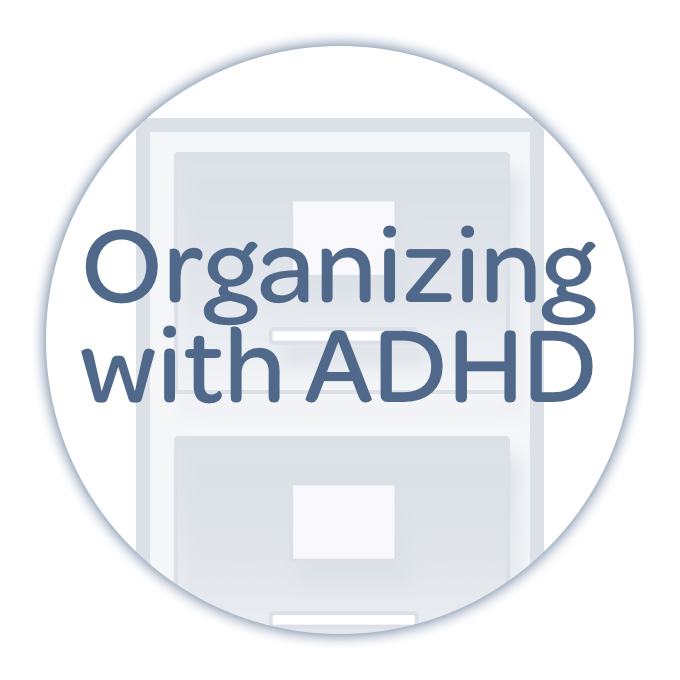 Is it possible you have some tips or more efficient studying techniques when ADHD sends your memory on spring break and you're not sure how to hold on to everything you're trying to learn?" Nikki: Is it possible? Everything is possible, anything is possible if you believe it. Pete: Everything is possible. We just have a little faith. Nikki: I could be a unicorn. Nikki: I could be a unicorn if I wanted to be, in my imagination. Pete: You are, you are a bright shiny unicorn. Nikki: Yeah. It is possible and I'm really excited to talk about this. Pete: Yeah, I imagine that you read that question and you got real, real excited. Nikki: Well, I did, because right now as part of my coaching service I work with college students and I have...oh, boy, this is the biggest load I've had with college students. So, I think I have about 10 college students that I'm working with all around the United States. Nikki: Yeah. In different colleges and universities and at different levels, grade levels and not. So this is something that I work with every week and I talk to my clients about every week and so, yes, I was very excited to talk about this. And a lot of what she's saying is certainly a challenge for many of my students. Retaining the information understanding that the content that they're learning. It takes a little bit more time sometimes, you have to hear it or see it and process it more than just once. So what she's explaining is very normal with many of my students, but also I wanna hit that it's not just the retention but I think one of the biggest issues that I deal with with students is the procrastination. And they're waiting too long to study. And now they're cramming for that exam or midterm or whatever is coming up. And they haven't given themselves enough time to really retain the information. I'm gonna talk about both things. So what I did is I basically looked at sort of the things that I do with students and I picked five things that I think are really important for people to take into account. Now, the first thing is rotating where you study. So when we're talking about retention of information, if you study in the same place all the time, there isn't anything to kind of trigger your memory of when you saw or when you read something or learned something. So one of the easiest things you can do is rotate where you study. So have one chapter where you're studying in a library, have another chapter where you're in the park or you're at home and move that around. Because what's gonna happen is you're gonna remember where you learned it and it will be easier to retain. So, even if you just wanna rotate your chair, so you're looking at a different wall, that can make a difference. I highly recommend that you don't study on your bed, because you'll probably fall asleep, especially, if it's something that's boring. Pete: That happens. Yeah, I resemble that remark. You know, I used to have this thing, maybe I've talked about it, where that state-dependent memory thing, that's legit. And I used to study, I'll never forget, I used to study with these great big, you know, the big recycle...there was a big campaign on campus, the big recycling mugs where you were issued a mug and then you just carried it around and you drank from that in all the cafeterias. It was always kind of strapped to your backpack kind of thing and I would fill it with Coke. Nikki: And what did you have in that? Nikki: Really? Like a little… Rum and Coke? Pete: No, no, no. Sometimes. No. Hey, no judgment here. This is a judgment-free zone. And so I would drink Coke and then I would always study in the same place and it got to the point where...I know there's probably something deeply psychosomatic about this, but if I were to go in and take an exam on the same content that I'd been studying, I would have to like tank up on Coke and try and get my brain in the same sugar-addled state, so that I could even think about the songs I would sing to myself to remind me of what I was actually studying at the time. Like, all those things. I think you mitigate that a little bit if you naturally change the state where you study more frequently. I was always doing the same thing and it became, not like I was actually integrating content, I was building a habit. And that's not quite what you wanna do. Nikki: Not a healthy habit if you're drinking a lot of Coke to get back to the point where you were when you were steady in the first place. Did you break that habit eventually? Pete: Yeah, I did, thankfully. That's a hard habit to break. Nikki: Yeah, yeah. I'm gonna talk a little bit about reading. So when you're reading a chapter there's just some things you can do to make it a little bit easier for you. So one of the things you wanna prevent is just going straight into the chapter and start reading it. Again, especially if it's something you're not interested in because it's really gonna be hard to even open up the book to get to the first page. So what we wanna do is actually skim the chapter first and look at your headings, pay attention to your headings, pay attention to the subheadings. What's being bolded? You know how a lot of textbooks will have like sidebar questions and statements and quotes? Pay attention to those. And then go to the end of the chapter and look at what the review questions are or what the bullet points are of the chapter so that you really understand what it is that they're trying to get across. Like, what are the key points? If you have a study guide...now, a lot of times people won't have a study guide until it's, like, right up close to a midterm or whatever, but if you do, again, read this first before you read the book so you can go back in and know what you're looking for. So you're not just reading...you're skimming it. I mean, you're not necessarily having to read it word for word, unless, you know, I guess if you really don't understand something but... Does that make sense? Pete: Yes. And let me throw something in there. Many classes...some instructors don't do this but many do. They will hand you a rubric of some sort that will quite specifically outline the things that you're going to be tested on. Please, for the love of everything, use the rubric. Use the study guides first before you even start reading. Digest the study guides. Use those things because that is your map for the entire thing. Now, some instructors, particularly in grad school, they don't give you that kind of map and you're just counted on to learn them all the material. "Just learn all the material." But that's not actually what your professor is thinking either. They're not actually thinking that. You have to be able to start finding the clues, what are the things that are most important to them, in order to guide your studying, and build your own rubric your own study guide. Use that material. Nikki: Right. Well, that's the other thing you can do. You could certainly build your own study guide by looking at the lecture notes, the slide shows. I mean, a lot of professors will share their slides. And so, look at those key points that are being covered in class and make your own study guide and rubric if you don't have it. But something you can do, and this was an interesting tip that I got at the CHADD conference, is that when you're looking at your study guide, you have three different highlighters and the green is the stuff that you already know, you feel pretty confident about, the yellow is stuff that you maybe need to learn a little bit more, and then the red highlighter is the stuff that you didn't even know that you needed to know. And so what it can do is it can help you guide like where you should pay attention. So when you're studying, you don't have to spend the same amount of time on the green stuff but the red stuff you got to pay attention to because you didn't even know you needed to know it. Nikki: Well, this is just highlighting the study guide, not highlighting the book or anything. Pete: Right, right, right. That's good. That's really good. And I do think that that's really important, to be able to do the little tricks like circling the action words, right, "Do this. Learn this. Understand this." Those are really important concepts too. I think for anybody out there...just to finish my thought on highlighting...who's still actively using highlighting, you're probably doing it wrong. I'm just saying. I don't know a lot of people who do it right, and I don't think it's entirely useful. Nikki: So what's the right way? What do you think the right way is? Pete: Well, I don't know that... Actually, now that I say that, I don't know that there is really a right way to highlight. The reason you use a highlighter is so that your eye catches the most important concepts in a particular passage. When you're dealing with ADHD, every passage is important. Nikki: True. So then are you highlighting everything? Pete: You're highlighting entire paragraphs, entire paragraphs. And so if you really love highlighters, you love...some people just love the smell of the highlighters. Who am I to…you know. Sometimes I like to sniff gasoline. No, I'm kidding. I just think it's really important to stop and try to constrain your efforts to highlight the most important stuff and to go into a complex highlighting system, because generally it's gonna grow out of control just like the firing in your brain is gonna grow out of control. It's just hard to do. And it probably is not playing to your strengths and the mode that you best learn. And so understanding that, how you best integrate new information, is probably more important. Nikki: So that kind of goes into what I'm gonna talk about next because I know that you can over highlight and you can probably over note-take. So that kind of goes in the same category there, a little bit. So third tip is is the act of studying, and this is important for people who have the hyperactivity piece of ADHD, they need to not be sitting down for four hours. That just doesn't sound like fun at all. And so, taking notes while you're reading, it can help, but again, I would be really careful that we're not doing what our member said and taking notes of the whole entire chapter, because then you're not really taking notes of it. There is something, I think, powerful about writing something down versus typing it or just reading it. So there is some value there. So my question to you, Pete, is how do we help people who are listening today figure out what should be in the notes or what I should highlight? Like, how do you figure that out? Pete: You've already sort of started that conversation, right, which is to start following the map of the textbook. If you don't have a map of the textbook then you start having to look for keywords around the rubric in the assignment that you've been given. You have to have a map, and whether you create the map or it is given to you, you've got to have a map to start. And that is so much more important for the ADHD brain, to have that map. It's incredibly important. But I really like what you said about writing things, writing your notes, hand writing your notes and then typing your notes. I mean, it's great to do this multiple times. That's gonna be vastly more effective in the long run. And I mean long run like actually integrating stuff into your being that you are learning than just preparing for an exam. You're gonna school so that you can be more effective in your field, get a degree, whatever. If you really wanna learn this stuff, then you've got to be able to do that work beyond the exam. The exam is just a mile marker. It's just a milepost. And you should be thinking far beyond the exam. How are you going to use this material? If you stop asking yourself, "What do I need to prepare for the exam?" and start asking, "What do I need to understand this for my field to be successful or to have a more robust understanding of this as a human being?" then I think you'll have a better go at it. There's one thing that I didn't have the advantage of when I was in college myself as a student, with regard to active participation in the work, and that is recording and listening to myself. We all talk about recording lectures. We talk about recording the instructor and the professor and they're doing their thing and then you go back and you supposedly listen to those lectures. But I look at recording myself as something like, you know, being able to...it's like an audio highlighter where you're reading the important passages during a study session in voice memos on your phone, for example, and then you put your headphones in as you're walking to lunch and you listen to yourself recite the important things over and over and over again. You're listening to yourself talk about the concepts in a particular class. And that will engage yet another sense. You've got the kinesthetic sense when you're writing things down that you now have this aural sense, if you're an aural learner, to actually get your voice into your head. That will again, improve retention over time. And it'll allow you to use your own voice to build the map. I think that's really important. That's a great thing. Nikki: That's a great idea. I do recommend recording lectures just because it eases the note taking. You can go back and... That's what I like about the Livescribe pen is that you can actually go back to certain parts of the lecture so you don't have to listen to the whole thing, because you had said, "supposedly go back and listen to those lectures," and I didn't miss that because it's very true. It's like how often are you gonna go back and listen. However, I do know students that I work with that would, because they need that information again. They need to hear it again. Pete: Totally, and I don't wanna discount the value of it at all. I think having a recording of it and... The real trick is using it. The value of is not just having it. The value is actually integrating it into your brain. And the more times you listen to it, the more you will remember it. That is settled. We know that works. Nikki: But I like that what you added was that you're also repeating it to yourself, recording yourself. I think there's a lot of value... I'm gonna start using that strategy. Pete: It works for learning a lot of things, frankly. I mean, it works for learning a lot of things. Of course, I'm a little bit biased because I stand at a mic most of the day. Nikki: Still, I can see that, for sure. Nikki: Well, that's one of the things I was gonna say is that reading out loud, walking while you're reading in a safe place, safe environment. Pete: Right. So, put a blindfold on and hit the streets. No. Nikki: And even explaining, and you could do this with the voice recording, but explaining what you're reading to your invisible friend. So you're putting it to you, you're the friend, you're recording yourself. But I think that just explaining it in your own words, which is what you basically are saying can be very, very helpful. Pete: Because it gives you practice talking about a concept too. Because you practice using that part of your...and the connection between brain to mouth is really important. Being able to recite... Because you're essentially teaching, and that's the best way to learn something is to teach it. Nikki: Absolutely. And if you think about, like, what we've been doing for the last few years in the podcast, I wouldn't have done all the research that I do for the podcast if I didn't have that platform, necessarily. So it does...you get to teach what you're learning and pass that on and you retain it. You retain it better. Pete: I actually learned that trick, if it helps anybody, whatever field of study you're in, I learned that trick from a study group that was going through medical school and they were going through gross anatomy, and they were recording their experiences. They're dissecting these bodies and have to learn not just tens of concepts but hundreds or thousands of concepts of the human body and how the systems work together. And they spent time on...then, it was a cassette recorder and they were recording themselves talking about it and teaching themselves and then they'd go back and rewind it and play it back. Well, we don't have to deal with degrading cassettes anymore. Just use voice memos. Record and teach yourself. It's huge. If doctors can do it, you can do it too. Nikki: You can do it too. That's right. So the fourth strategy that I have doesn't work for everybody. A couple of things will work but not every... It's basically working with other people. Now, I can tell you that probably the majority of the students that I currently work with...well, it's about half and half. Half can work with other people and half can't, because they're getting distracted by the people that they're working with. If you are doing a study group but they're all people who wanna talk and aren't necessarily as serious about the studying as you are, it's probably not gonna go so well. And then you're gonna come back to your room and you're gonna cram because you didn't get the four hours of studying done that you thought you were going to do. And so I think it does depend on, if study groups work for you. If they do, then go to them, and I encourage you to, because you guys, again, can teach each other what you don't know and talk about the concepts, and there's a lot of value in that, if that's what you're doing, if you're staying on course. Even talking to one other classmate, if you have somebody else that's in the class that you can exchange comments with, either text or whatever, can be very helpful. Office hours. I highly recommend that, especially for the younger students out there, because this is where I see a lot of issues. A lot of students don't know what to ask their professors so they don't go. A lot of students feel like, "Well, I should have already known this. They're gonna think I'm stupid, so I'm not gonna go." Or, "It's gonna be a really long line and I don't wanna stand in it," whatever. But if you are not doing well in a class and your exams are not coming back very well or whatever, I highly recommend that you go to the office hours, talk to your professor, find out what you did wrong, ask questions, clarify if you're studying the right stuff and how you're studying. And every time that a client of mine does that, they get information they didn't know before. It helps, it helps. So talk to your professors. Pete: Take advantage. That's what they're there for and they like it. Generally, they like it. Pete: There is no professor who doesn't want you to ask clarifying questions. It's just not a thing. Nikki: No, they want you to succeed. Especially...and, again, I work with a lot of younger people, but they don't wanna see these kids...I say kids because they're so much younger than me, but they're still adults...but they don't wanna see them fail. Now, if you're not really sure of what to ask, then I would just talk to somebody else. So like I'm working with a client right now who...she's not sure what to ask her professor, so that's gonna be our next session is we're gonna go through the information that she's not understanding and actually get some solid questions. So if you don't have a coach, ask somebody else. Ask a friend or somebody to help you kind of clarify that for yourself so you feel more confident going in. All right. Last thing that I have to say, but it's such a big thing. We could probably do five podcasts and more on this, and we have, just not in a student context. But if you're a student and you have assignments that are due every week and discussion posts and responses and homework assignments and exams and finals, you have to learn how to use your planner. The two most important time management tools that you have is your calendar and your To Do list. If you can have a planner that does both, which most student planners do, that's what you need to use. You need to learn how to use it effectively. Every single student that I work with, that is the very first thing that we get out of the way is how are you gonna use your planner. And I can't tell you how many of them have never used one before and they don't think they need one, but yet their parents have called me to help them. So something is not right. They don't know. So they just need to be taught. But that is the biggest thing, writing it all out, not only what are the most important due dates, but every...I mean, I am really actually quite strict about it. Like, I have my students bring their planner with them, their syllabuses with them in our meetings so that we can, you know, both of us look at the schedule for the week ahead and know exactly what's going on and block out study times and how much time do you need before something is due. That's where the procrastination...I'm not saying procrastination is not gonna happen, but at least now you have a plan and you're set up for success rather than just sort of, like, treading water not really knowing what you're gonna do. Pete: I could not agree more with this entire thing. Also, I know that living with ADHD, it is a muscle that takes a lot of time and patience to build. It is incredibly hard. And you're juggling too many things not to have some sort of a map for your life. That's what we're talking about, is a map for your life. In many respects, this, as you say, Nikki, should have been number one because of just how important it is and it is something that...you know, find a system. I'm watching the chat room, seeing some folks describing the kinds of systems that they have. And they're all different. They may be all different. But they have one thing in common, they're systems for keeping track of the things that you have to learn. And that's what we're saying. You don't have to use the same thing I use or Nikki uses or somebody else uses, but you have to have something, you have to have something to fall back on. Nikki: And all of my students have different different things to that they use. I mean, they're all different. But it is definitely getting a system that you can use and seeing the time that you have available. I think a lot of my students think it's crazy that I have them actually write down week after week when they're in class, "Well, I know when I'm in class." I know you know when you're in class, but you don't see the visual of what time is really available until you see it on paper. And that's what it's doing is it's allowing you to see that Tuesdays and Thursdays are really busy days for you. So when are you gonna get your work done? And that's what we're trying to figure out. Pete: How many times you zoom out and look at that full week view and realize, "There's just no more hours to do things." When you add in things, like, "Well, sometimes I have to eat." There are certain sort of health and safety needs and sleep. Nikki: And sleep, because sleep is really important to students. So we wanna try to keep that in a schedule. Pete: At what cost? "I can do X, Y, Z at what cost?" And that cost, first and foremost, comes in time. Nikki: Okay. I actually do have one more thing that I wanna suggest. Now, I know that a lot of online courses do not allow this, so this is, again, probably more for the students that are at the universities. So again, so many of my clients when I start working with them, don't don't always have the accommodations in place. And a lot of times I hear that it's because they don't think they need them, they're embarrassed by them, they don't wanna take the test in a separate place. All of these different things. And a lot of people think it's just the testing. A lot of people think the accommodations are just getting extra time on tests and being in a different environment. But it actually goes farther than that. And I highly recommend to students that even if you don't think you need them, get them, go through the process of having your doctor write that letter that you were diagnosed with ADHD and go to the student services, find out what accommodations they have available to you, go talk to your professors, build a relationship with them at the very beginning of the semester letting them know that you have ADHD and that you may have these accommodations and you'll be open with them when it happens. Now, I've seen two things happen. I have seen when students have really good relationships with their professors and they have these accommodations in place, they're going to be a lot more lenient to say, "Okay, you know what? Go ahead and turn this in after the weekend." I have had professors actually tell a student that they could extend a final exam until after Christmas break. So I'm not saying that all universities or professors will do that, but if you don't ask, you're never going to know. And that's the thing that you want to do. Now, on the flip side of that, I had a client who did not have accommodations and she was failing a class and wanted to get a withdraw...or an incomplete, I'm sorry. She wanted to get the professor to give her an incomplete rather than an F. And I wrote a letter, her parents wrote a letter, she wrote a letter talking about her ADHD, but she did not have accommodations in place and the professor basically said, in so little words, "You don't have the accommodations in place. I didn't know you had ADHD. You're getting an F." And that was it. It was done. Pete: That's it. That's the end. Nikki: So those are just two different real life scenarios that can happen. And so I tell all of my students, "Get accommodations, whether you need them or not." Pete: And note that the accommodations generally last for a couple of years, so if you're an undergrad and you get them in place as a freshman or if you had them in place when you came out of high school, if you're just coming out of high school, you'll have two years before you have to have yourself sort of re-evaluated. They do want to make sure that you still qualify for those accommodations. But generally, it's a useful thing to have. I have found, and we did some research for in the Discord group with some folks who were going through this and discovered that accommodations in grad school are harder to get and they demand more in terms of cognitive behavioral tests, that you have to go through a certain amount of testing rigor, more than just referrals from a therapist and a physician. And so it can be harder. And so I know a lot of our folks are dealing with grad school. Nikki: And frustrating because it seems so unfair. Pete: It seems really unfair and very frustrating. And yet, that's the reality. And that's why we do this show, to help with the other study strategies that you're gonna need to keep the reins on the brain. Keep the reins on the brain. There you go. Pete: All right. Nice work, Nikki Kinzer. Nikki: Thank you so much. Pete: You sound like you work with ADHD college students. Nikki: I do. And I love them. They're wonderful. Pete: They're my favorite. Thank you, everybody. Nikki: No, they really are, they're great. Pete: Yeah, totally. Thank you everybody for downloading and listening to this show. We deeply appreciate your time and your attention. 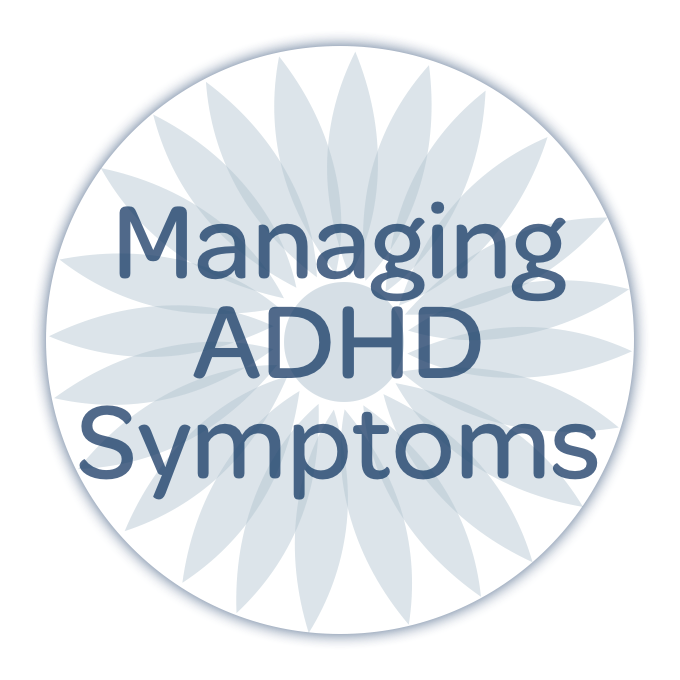 On behalf of Nikki Kinzer, I'm Pete Wright, we'll catch you next week right here on "Taking Control: The ADHD Podcast." Older Post380: How do you know when to start something new?